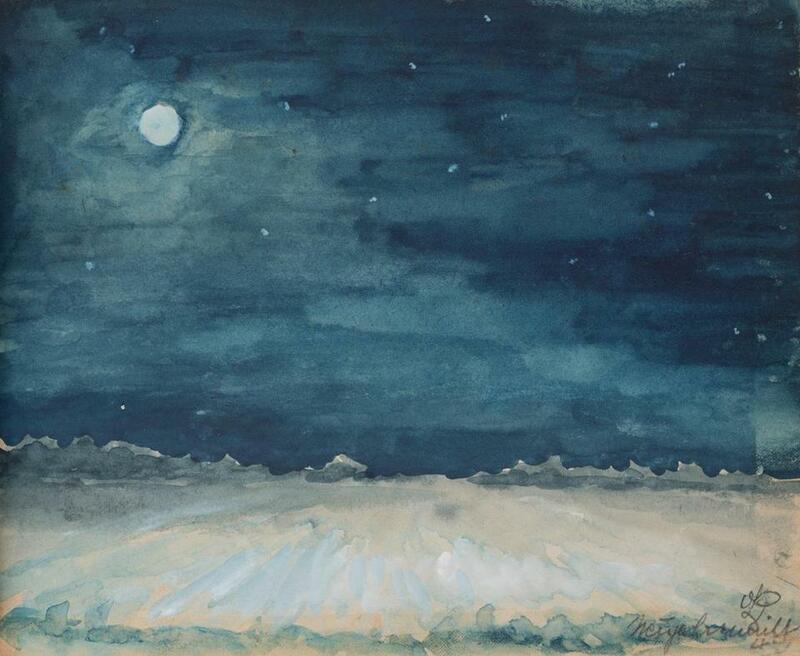 Otto Piene’s “Untitled (Sketch of Night Sky),” from “Sketchbook: wartime,” 1944-45, watercolor. The Harvard Art Museums have received a gift of 70 sketchbooks by the late artist Otto Piene . A longtime Groton resident, Piene died in 2014. The donation was made by his widow, the poet Elizabeth Goldring . The notebooks will be part of the collection of Harvard’s Busch-Reisinger Museum. Piene came to Greater Boston from his native Germany in 1968, as a fellow at the MIT Center for Advanced Visual Studies. He served as director of the center from 1974 to 1994.